Five Detroit Firefighters were killed and 3 others were seriously injured while fighting a fire in the Fields Cloak & Suit Company. 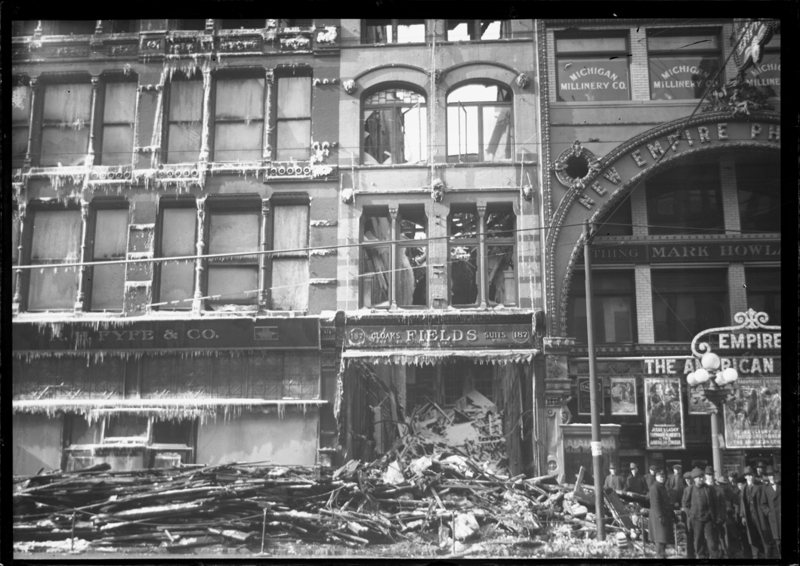 The building was located at 187 Woodward Ave, which was then the center of the downtown business district. Fire was reported around 2 am. About a half an hour into fighting the fire the 3 lower floors of the 5 story building collapsed without warning. They carried 20 firemen down in the wreckage. Two firefighters were also thrown from a ladder to the sidewalk from the 3rd story. Aftermath of the Fields Suit and Cloak building fire where 5 Detroit Firemen were killed. Several firefighters were buried beneath a mass of twisted timer and steel ceilings. Vincent Gordon was pulled out virtually uninjured a few minutes after the crash. About two minutes later Ladderman Oscar Locke, Hook & Ladder 1, was uncovered. He was dead. Pipeman Otto Mattick, Flying Squadron 30, who had been crushed and overcome by smoke died 30 minutes after being discovered. Captain Alexander Cockburn, Engine 2, was able to direct rescuers to his place of entrapment for an hour before he was discovered. He died from his injuries after being admitted to Receiving Hospital. 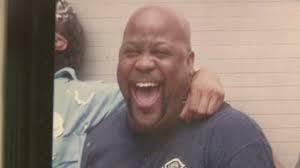 Pipeman Alonzo Raymond, Engine 2, and Pipeman William Schill also died in the collapse. Firefighters and policemen searched feverishly for the 4 men still buried in the ruins for four hours before all were uncovered. The fire also consumed the top floor of the R. H. Fyfe Shoe Company building to the south. Monetary loss from fire and water damage was estimated at $500,000. A few weeks after the fire a coroner’s inquest was convened. Architect Adolph Eisen testified that the joists of the third and fourth floors were made of soft pine and were not strong enough to hold the floors. Charles Hassenbach, secretary/treasure of the Fields Company also testified that the third floor of the building had sagged about an inch, but no one paid attention to it. He also testified that the building inspector had never inspected the building. The building had been owned by E. Van Noorden and Edward Rintels of Boston. 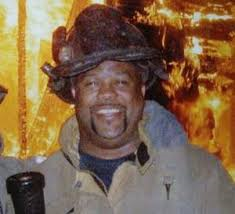 Detroit Fire Department Firefighter Michael L. Johnson made the ultimate sacrifice in service to the citizens of Detroit. At the time of his death Michael was assigned to Ladder 11. On December 12, 1977 at 9:57 am Ladder 11 responded to an alarm of a fire at 3433 E. Warren. Ladder 11 proceeded out of quarters, turning left on Milwaukee. Firefighter Johnson was the tillerman of Ladder 11. Firefighter Johnson signaled the driver with 2 beeps of the buzzer that he was ready for the rig to move. 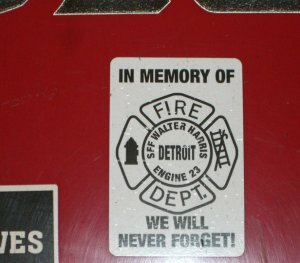 On November 15, 2008 Senior Firefigher Walter Harris made the ultimate sacrifice in service to the citizens of Detroit. 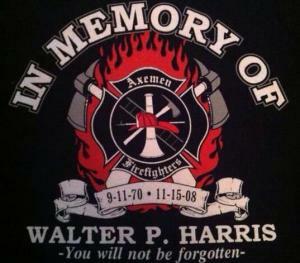 Detroit Firefighter Walter Harris made the ultimate sacrifice in service to the citizens of Detroit. 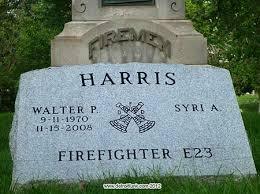 At the time of his death Walter was assigned to Engine 23, in the 6th Battalion. 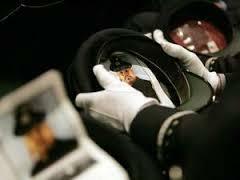 He held the rank of Senior Firefighter, badge # 3386. Around 5:00 am on the morning of November 15, 2008, Engine 23 was called to a fire in a vacant dwelling at 7418 E. Kirby Street. Engine 23 and Squad 3 arrived to find flames shooting out the second story windows. 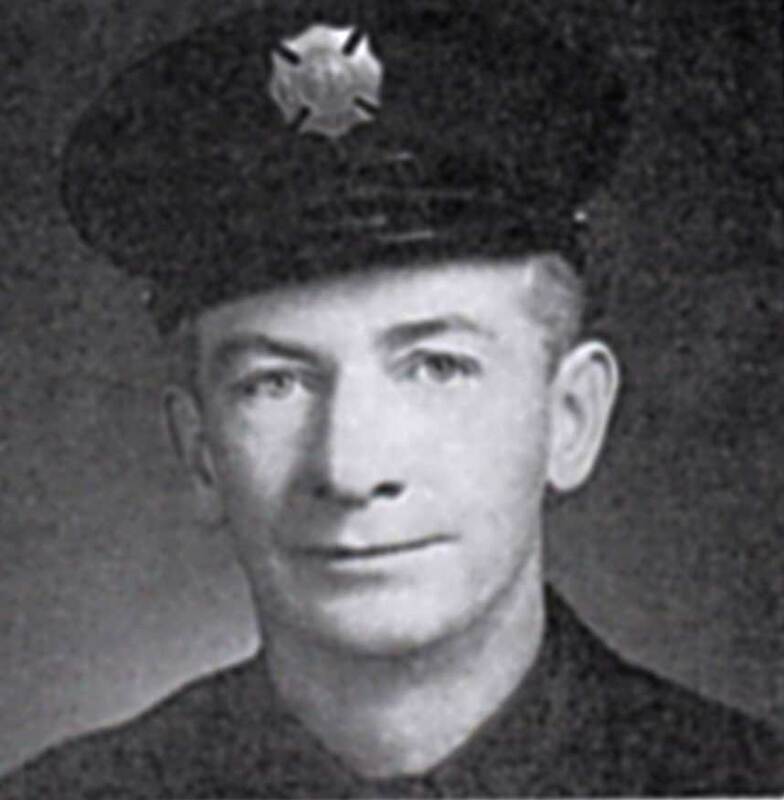 Detroit Fire Department Substitute Fireman George Nelson Lloyd made the ultimate sacrifice in service to the citizens of Detroit. 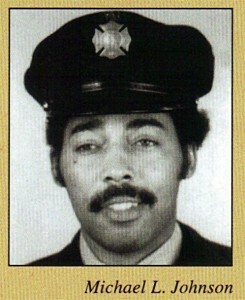 At the time of his death George was assigned to Engine 6. George died from injuries he sustained by falling through an engine house fire pole hole on October 1, 1917. He was 28 years old. George Lloyd was born November 9, 1888 to Mary (Kline) Lloyd and James Lloyd. George never married. His full time profession was carpentry. He was buried at Mt. Olivet Cemetery, Detroit, MI on October 17, 1917. 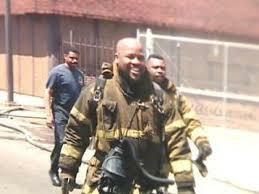 Detroit Firefighter John Campbell made the ultimate sacrifice in service to the citizens of Detroit. 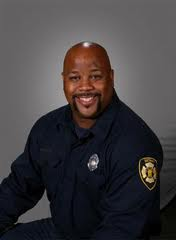 John was assigned to Engine 34, The Lords of Livernois. On September 10, 1963 Firefighter Campbell was fighting a garage fire at Ogden and Kirkwood. While pulling line he began experiencing severe chest pain. He was taken to Detroit Receiving Hospital by Squad 4. 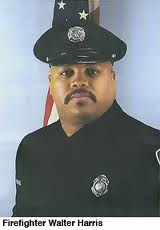 Detroit Fire Department Sargent Charles L. Phillips made the ultimate sacrifice in service to the citizens of Detroit. 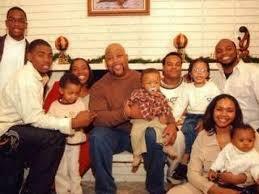 At the time of his death Sgt. 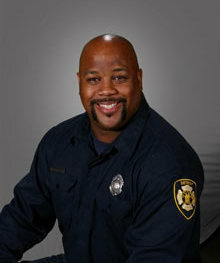 Phillips was assigned to Engine 31. 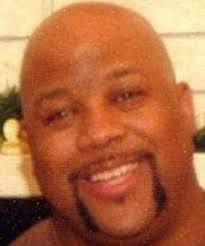 Sargent Phillips was killed by a collision between a fire apparatus and police car. Charles was 48 years old. He joined the Detroit Fire Department on July 16, 1927. At the time of his death he had served for more than 21 years. Detroit Fire Department Pipeman Robert Roy Lanham made the ultimate sacrifice in service to his country (WWI). At the time of his death Robert was 24 years old. 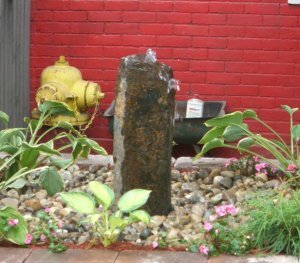 He was a member of the United States Marine Corp.
Pipeman Lanham started with the Detroit Fire Department as a substitute fireman. He was brought on in a full time capacity on Marcy 1, 1913. He was granted a leave of absence to join the war effort on July 31, 1917. 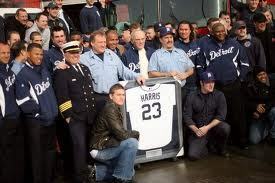 Charles had been assigned to Engine 8 as badge number 302. 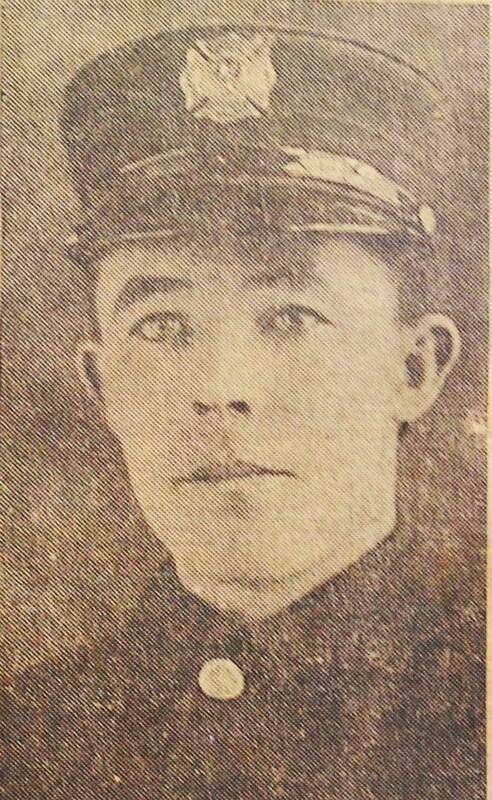 Former Detroit Firefighter Private Edward Alonzo Smalley made the ultimate sacrifice in service to his country (WWI). At the time of his death Eddie was 28 years old. Smallley enlisted in August 1917. 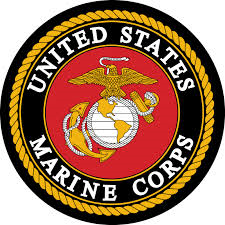 He was a member of the Fiftieth Company United States Marine Corp. He was wounded in active service on June 13, 1918. He died the following day at a base hospital in France. He had been in France since November 1917. Smalley joined the Detroit Fire Department on February 16, 1917. He served as a substitute fireman. He resigned from the department on May 23, 1917. 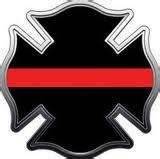 Detroit Fire Department Pipeman William Christopher O’Brien made the ultimate sacrifice in service to the citizens of Detroit. At the time of his death William was assigned to Flying Squadron Company Number 1.